Female actress Dominique “Journ’e S’mone” Lemon is earning her way to the top in the entertainment industry with her amazing skills of singing and acting. She was recently on tour with the stage play “Even a Good Man is Tempted”, written, produced and directed by Jeremy E. Cormier. 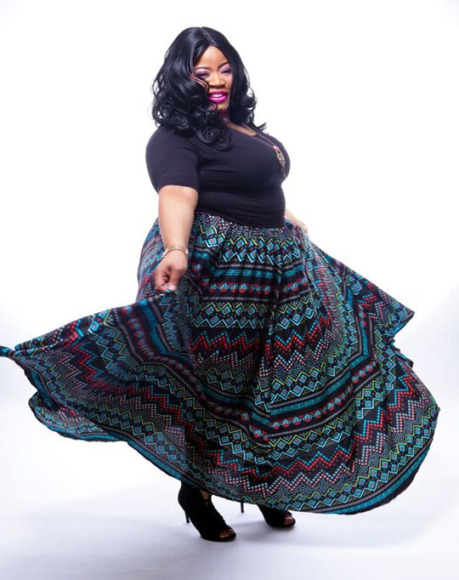 She shared the stage with Shirley Murdock and Denzel Wells from Tyler Perry’s “If Loving You Is Wrong”. Before long, she landed a lead role in the stage play “Don’t Judge Me for Who I Am” written, produced and directed by Jessie “Mr. MiraKool” Simms. Soon after, she booked a feature role in the movie “Aborted” in hopes to be in theaters soon! Born in El Paso, TX, she grew up in St. George, South Carolina with her dad and grandmother. At the age of 14 years old, her grandmother died. After the death of her grandmother, she relocated to San Antonio, TX. When she was in the 10th grade she was introduced to theatre. She was so intrigued by the arts; she continued her passion for acting throughout high school. She was so elated with the arts that she decided she wanted to pursue theatre as a career. After graduating high school in 2004, she relocated to Tallahassee, Florida to attend Florida A&M University (FAMU) where she received a Bachelor’s of Arts in Theatre Performance. While at FAMU she was in several productions such as Dearly Departed, The NEC Classic and many more. Also, while attending FAMU she received Ms. Essential Theatre from 2008-2009. She graduated from FAMU in December 2009; upon graduation she landed her first lead role in a stage play entitled “For Real This Time” by an up incoming director Markeisha L. Gordon. In this production she discovers her voice (musically). Lemon then relocated to Atlanta, GA to pursue her dreams of becoming an actress, music artist and her new found interest modeling. Upon arriving, she dove right into her artistry by taking classes at the famous,” Blue Print for Hollywood Studio”. While studying there, she also auditioned for many other plays and came across the play “Church Folks” that she was cast for, directed by Zakiya H. Watford former cast member of Tyler Perry’s play “Family Reunion”. Shortly after, she continued her training through Alchemy of Acting with instructor Lalanya Master former actress. In this acting ensemble she was able to get in front of some respected names in the entertainment industry; such as director John Singleton, Malcom Lee and casting director Kim Hardin. Lemon, wanted to break into the film industry so she decided to train with the best. In 2014, she was able to train in New York with acting coach Nina Binder, former student of celebrity acting coach Susan Baston. This experience was one of the trajectory points of her career. This experience motivated her to have courage, to work on some short films and TV pilots. The acting gigs were not coming as frequently, so she decided to focus on her other passions, modeling and music. While focusing on modeling she was able to do a few fashion shows and photoshoots. When she wasn’t focusing on modeling she focused on music. While focusing on music, she discovered her artist name Journ’e S’mone. She started singing in church and performing at open mics. Lemon is currently enjoying the journey God has her on.